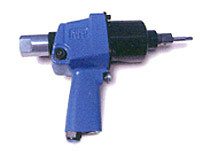 UNA DRIV® impact wrenches are special tools that are used on UNA DRIV® bolts. 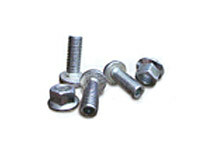 These bolts are used heavily in the manufacture and repair of railroad cars. In the center of the impact anvil is a male hex. This fits into the end of the bolt which keeps it from turning while the socket on the square drive drives the nut in place. Made in America with steel hammer case for greater durability in the toughest operating conditions. Clairton offers two Una Driv impact wrench models with specifications listed below. Please feel free to contact us with any questions about ATP Una Driv wrenches at 1-877-702-8665. 100-450 450 Pistol Grip 3/4"Sq. Una Driv 12 9.25 Lb. 1/2"
250-800 800 Pistol Grip 1"Sq. Una Driv 12 13.25 Lb. 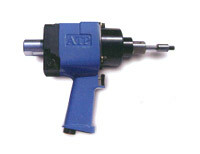 1/2"
Have a question or need assistance in selecting an Una Driv impact wrench?